At 1329 hours, the Union Fire Company No. 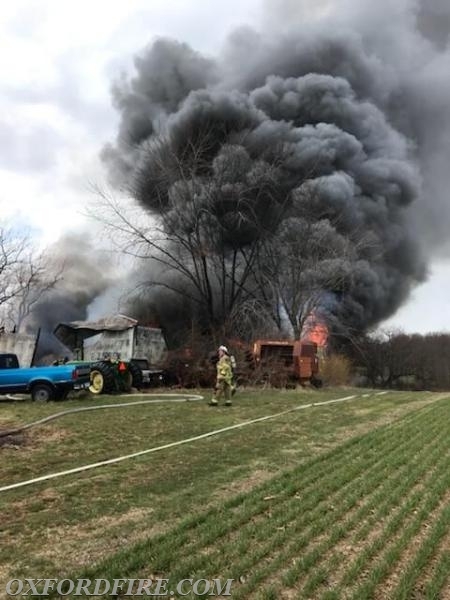 1, along with units from West Grove (22), Avondale (23), Cochranville (27), Rising Sun (8), and Elkton (3), was alerted for a reported Shed on fire in the 1800 block of State Road in the Hickory Hill section of Elk Township. 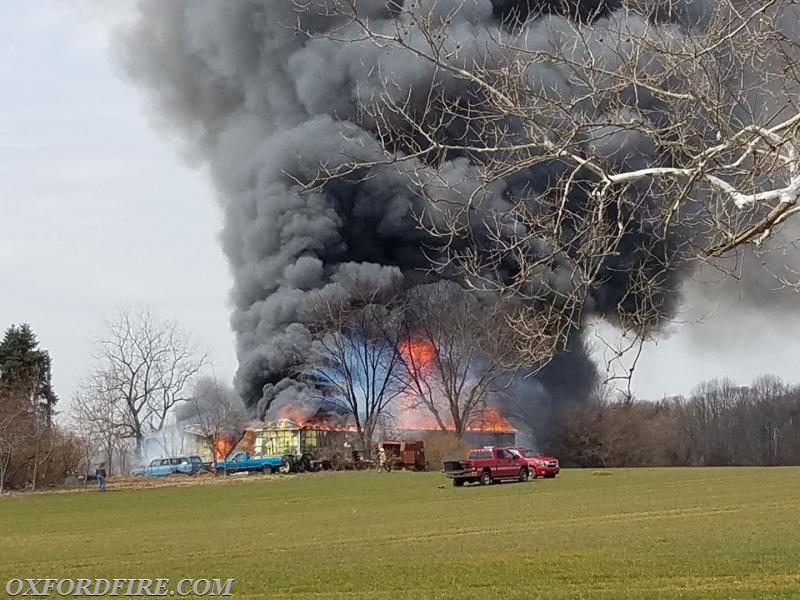 Several reports to 911 reported a 40' x 100' barn on fire. Chief 21 (Meadowcroft) arrived and confirmed a working fire and established the "State Road Command". 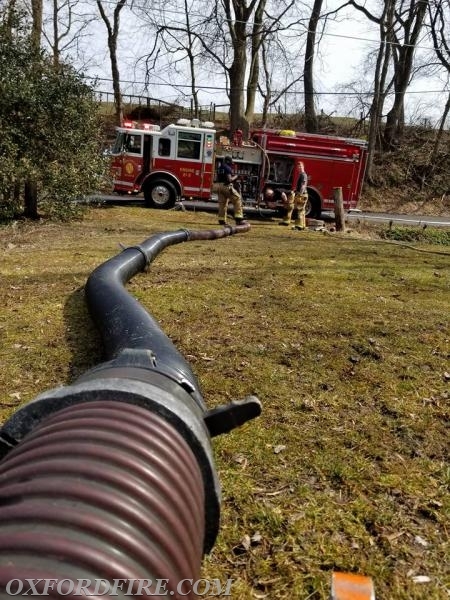 Engine 21-1 (FF PW Slauch) arrived and laid out approximately 500' of 5" supply line up the driveway and beached the engine in the open field. The crew then split, pulling a handline to protect the exposures and placing the Wagon Pipe in service to begin fire suppression efforts. Tanker 21 (Past Chief R. Terry) picked up the supply line and supplied Engine 1. Both portable tanks were removed from Tanker 21 and placed into service at the end of the driveway. Engine 22-2 was set up at the portable tanks and supplied the scene for the duration of the incident. Arriving Engines sent their crews into the scene for manpower while the Engines were used to shuttle water. 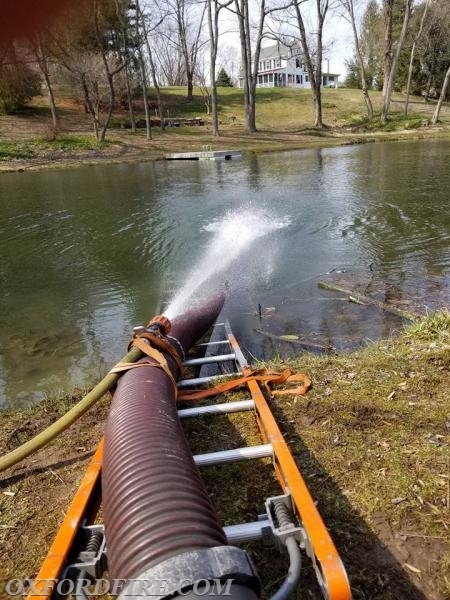 Engine 21-2 (FF Ghartey) established a draft site at a pond on Glen Hope Road to fill Tankers and Engines. At the scene, crews rotated through fire suppression duties utilizing multiple handlines. Engine 25-2 (Longwood) was requested to the scene from Station 21 for additional manpower. The Chester County Fire Marshals Office investigated the incident. 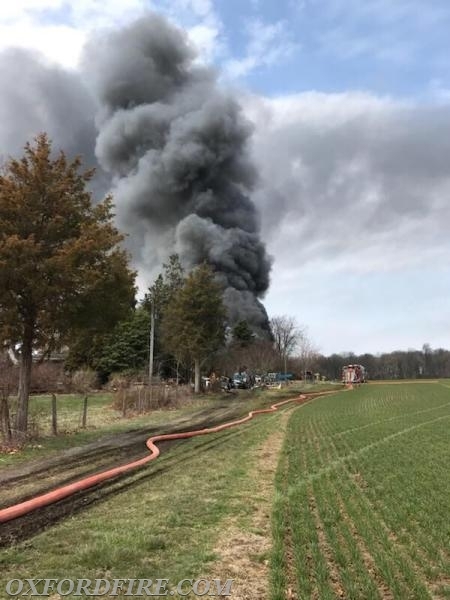 The final units were clear of the incident at 1830 hours. Engine 42-1 (Gap) and Tanker 51 (Bart Township) transferred into Station 21 to cover the District.